A unique blend of plant-based carbohydrate and protein bulking agents for heavy gainers! True Nutrition proudly presents our signature Vegan Bulk Formula, a unique blend of plant-based carbohydrate and protein bulking agents for heavy gainers! When combined with an intense diet and exercise routine, the Vegan Bulk Formula is intended to help increase caloric intake considerably when consumed in multiple servings daily. Providing 14g of vegan protein to help support muscle-building! Uses: Supports Muscle Building: Provides 14g of protein to help support muscle building! Mix 1 Serving (About 1 Scoop) 1-8 times daily (or as needed) in 8-12floz of water, juice, or milk. Stir or shake and enjoy! 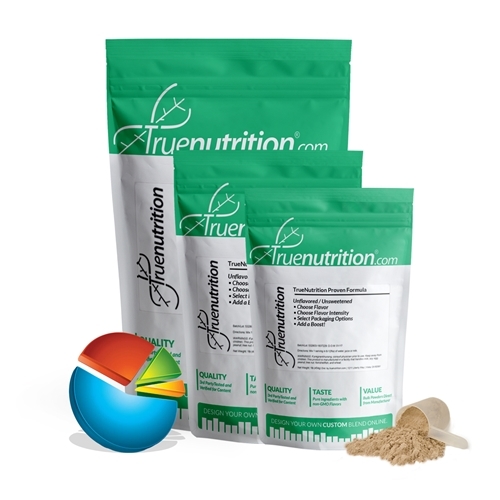 Oat Starch Powder, Pea Protein Isolate, Rice Protein Concentrate.